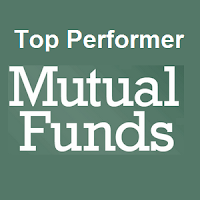 Find top performing mutual funds 2013. The top funds are Firsthand Alternative Energy Fund, Fidelity Select Biotechnology Fund, etc. Looking at the top performing funds for 2013 may provide you an idea for 2014 investment. Most of the top funds are dominated by biotechnology and small cap stock funds. These funds tend to have high volatility and high reward. 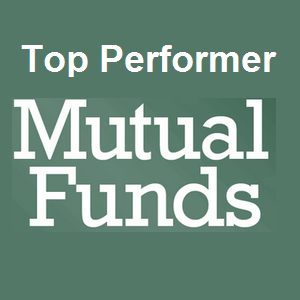 Find the top 3 fund review below. I have provided summary about these funds. Whether they are for your investment, retirement account, 401(k) plan, you need to find out the details about the funds. This Firsthand Alternative Energy Fund invests mainly in alternative energy and alternative energy technology companies, both U.S. and international. It has a high annual expense ratio rate of 1.98%. Kevin M. Landis is the fund manager. This stock fund has low total assets of $6.7 million. There is no yield. You can start invest with $2,000 for your IRA or regular brokerage account. Morningstar has ranked it with 1 star only. The top 3 stocks in its holdings are GT Advanced Technologies Inc, SolarCity Corp, and Johnson Controls Inc. In 2013, the year-to-date return is 94.01%. Ranked with 4 stars, Fidelity Select Biotechnology Fund objective is to achieve capital appreciation. It invests mainly in various biotechnological products, services, and processes. It may invest in domestic and foreign companies. Managed by Rajiv Kaul, its expense ratio is only 0.79%. The total net assets are $7.8 billion. Morningstar Analysts have ranked this equity mutual fund with bronze rating. The YTD return in 2013 is 63.40%. This stock fund has returned 40.70% over the past 3 years, and 29.97% over the past 5 years. As of December 2013, the top 5 equities in its portfolio are Gilead Sciences Inc, Amgen Inc, Celgene Corporation, Biogen Idec Inc, and Alexion Pharmaceuticals Inc.
Legg Mason Opportunity Fund has $1.8 billion of assets. The portfolio turnover rate is 35%. This mutual fund invests in securities, derivatives and other financial instruments. You can invest with $1,000 for your brokerage account. The expense ratio fee is 1.31% per year. The fund managers are Bill Miller, and Samantha McLemore. It has 1 star rating. The top 3 sectors are financial services, consumer cyclical, and technology. Top 3 stocks are Genworth Financial Inc, MGIC Investment Corporation, and Delta Air Lines Inc.